I'm new to the forum as I've been a Heuer collector but really became fascinated with Breitling after reading Fred's interview on Fratello Watches site. I just picked up this Top Time silver dial 810. First breitling. 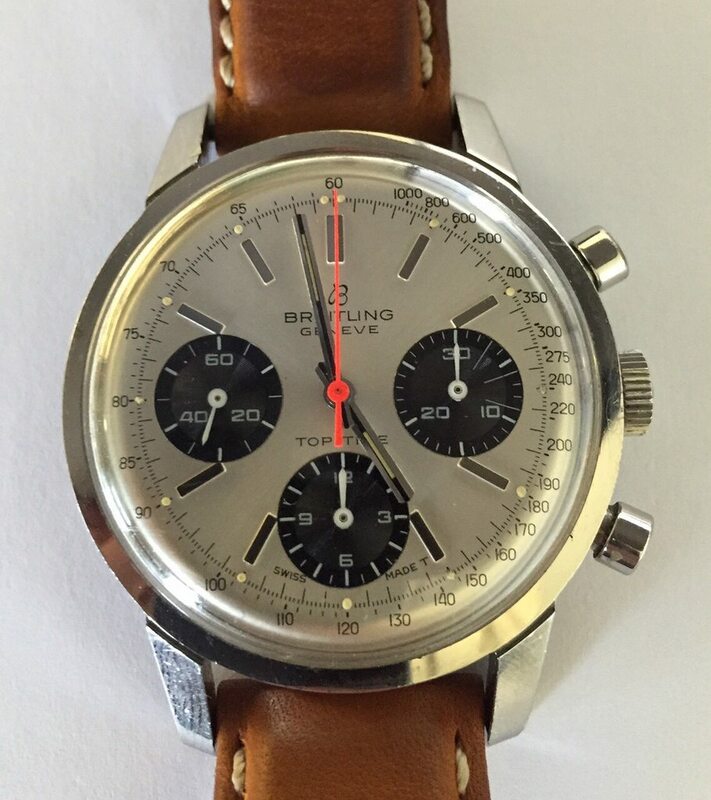 After a lot of research the Red Chrono hand seemed pretty special and the 1134605 Serial number I think dates it to 1967. It seems to be in mint condition and I believe unpolished. Was just hoping for some feedback from you BREITLING experts. Thanks in advance and really enjoying following the forum. Previous Topic: Anyone know a good source for NOS bands?